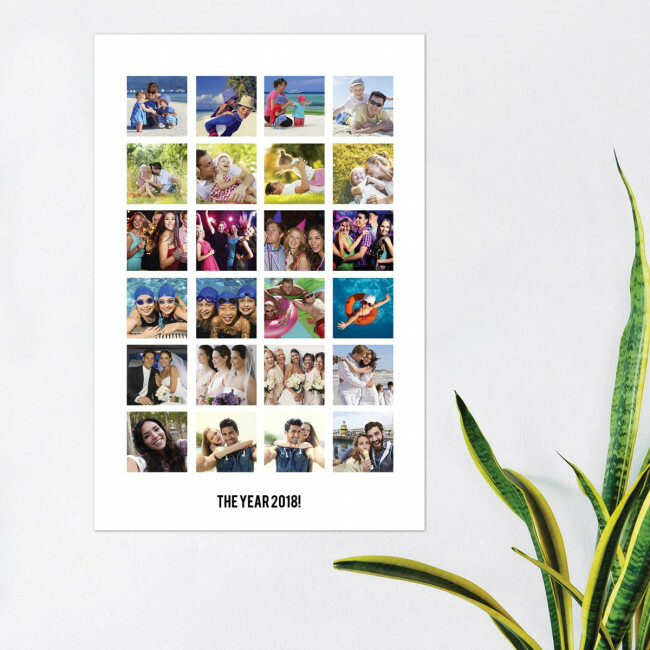 Instagram collage poster with 24 personalisable images. Our instagram collage poster prints will brighten up any room in your home. They are a great way to showcase your favourite photos throughout the year . They come in a variety of sizes depending on the size of your room. Our posters are Satin inkjet micro porous 260gsm x 30m.